It all started with a Father's passion and a son's desire to succeed. J.N.Y. 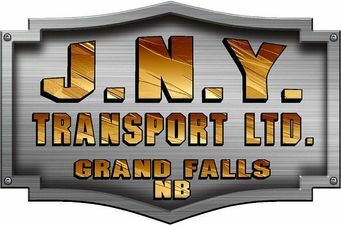 Transport Ltd, a family owned company has been proudly serving the Maritime Provinces, Ontario and Quebec since 1987.
and reliable drivers care about your load, that's why we're going the extra distance to provide you the best customer service. J.N.Y. Transport Ltd's mission is to continually improve and maintain a high level of excellence in order to meet and exceed customer's needs and expectations. J.N.Y. Transport Ltd. will create a safe and considerate working environment. J.N.Y. Transport Ltd. will encourage originality, innovation and promote enthusiasm in meeting the requirements of our customers. J.N.Y. Transport Ltd. will endeavor to cultivate profit growth through efficient production methods and procedures. J.N.Y. Transport Ltd. will create a distinctive and progressive corporate culture. J.N.Y. Transport Ltd will make positive contributions to the community in which we operate and strive to become a model corporate citizen. COMMUNICATION - The most effective communication begins with listening. Leadership needs to set the example with active listening. An open environment encouraging discussion enhances involvement. TEAMWORK - Teamwork is a necessity. Our team is not only limited by their job description but rather, act according to the situation. We rely on our skills and expertise to achieve results. RESPONSIBILITY - Each employee understands his responsibilities clearly and execute them professionally. HANDS ON APPROACH - Our team is available to contribute where required, visualize the situation and take the necessary action.